Awkward table shapes and sizes are inconvenient and can ruin the look of your set up. 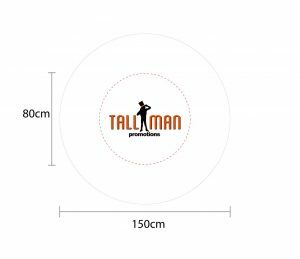 Square and round table covers can accommodate tables from 29 to 43 inches in diameter. The best part is your logo will always be visible despite the size. Round and square table covers can be customized. They are also wrinkle free, so no ironing. The round cover has a circle seam allowing the cover to drop evenly around the table and straight to the ground. Our square style cover has four corners and can be used on both square and round tables. All of our covers are easy to clean. They are stain resistant and waterproof. The round cover has a circle seam which allows the cover to drop evenly around the table and straight to the ground. 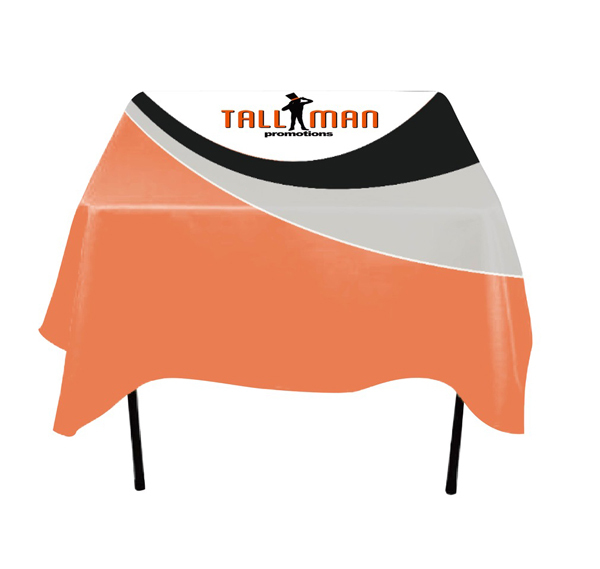 TALLMAN.PROMO square style cover has four corners and is great for square tables. Both Square and Round table covers are very easy to clean. They are both stain resistant and waterproof. 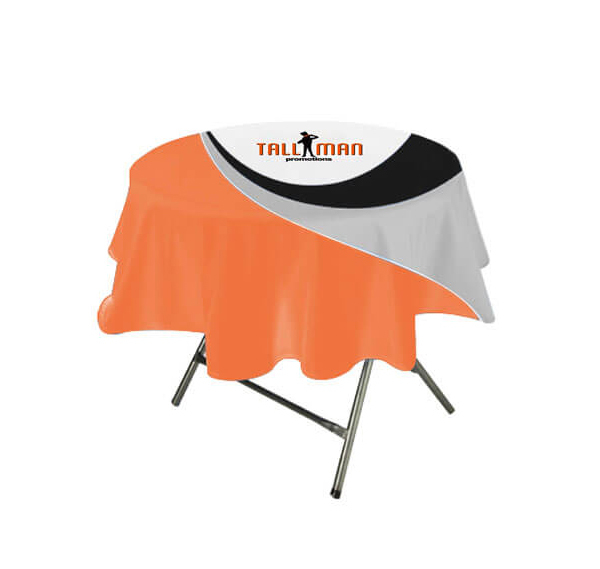 We can assist you in the design of your table cover or use your design. If you have any questions feel free to contact us. Table throws are made using a combination of 300D Polyester or 160g Polyester or 240g Soft Knitted polyester. The Material is wrinkle resistant, flame retardant, waterproof, oil stain proof and stain-resistant. Square round table covers are unique in their own way in come in those two different shapes.